In this tough economic environment, neurology practices need to run with optimal efficiency and at maximal productivity. This means ensuring a well organized and steady patient flow. When patients fail to show for scheduled visits, our practices lose revenue and forfeit time that could have been used by other patients. But neurologists are using a wide range of strategies – from implementing policies that charge fees for no-shows to using special software and e-mail programs to remind patients about their appointments. The economic consequences of no-shows are quite eye opening. Lucien W. Roberts III, an administrator of a 13-member neurology practice in Richmond, VA, tracks his no-shows with scheduling software. In 2001, his no-show rate was 18 percent – despite routinely confirming appointments with reminder calls. Discovering that 2,800 no-shows incurred in 2001 and using the “low complexity” (99213) Medicare billing code for a follow-up visit – a conservative approach – he calculated the cost to the practice as over $131,000 in unrealized income. The most recent Medical Group Management Association (MGMA) records indicate that the average rate of no-shows in a medical practice is 5 percent. But many believe that as specialists, we incur more no-shows than generalists – 15 percent and higher – because we see a greater percentage of new patients and care for fewer patients on a long-term basis. So what can we do to minimize no-shows and ensure that our office schedules run predictably? In response to cancellations, Augustin Legido, MD, PhD, Chief of the Section of Neurology at St. Christopher's Hospital for Children in Philadelphia, PA, created a letter encouraging patients to call if they have to cancel and explaining how important it is for other patients to be offered an opening slot. “We calculated the percentage of no-shows by physician and over-scheduled the corresponding number of patients per physician to compensate for that percentage,” he said. Dr. Legido realizes that overbooking can be risky, but sees this as a solution based on simple mathematics. “Overall, we decreased the no-show rate from 35 percent to 25 percent.” He stressed that it is important to re-evaluate this issue on an ongoing basis. In fact, experts suggest that physician behavior may contribute to this conduct. If your office has long waiting room times or a tendency to cancel patient appointments at the last minute, patients may be less considerate about keeping their own appointments. Similarly, if your office neglects to follow-up on missed appointments, patients may believe that their absences have not been noticed. Create a written office policy and reinforce it with the patient. For example, Neurological Associates in Richmond charges $25 for no-shows. The practice informs the patients of the policy when the appointment is made and again when it is confirmed. They waive this fee if the patient provides a good excuse, such as an illness. Dr. Romero is considering billing for no-shows and believes that $50 would be a reasonable figure to cover related overhead expenses. He said the issue is analogous to other service cancellations, such as non-refundable theater and sporting event tickets and penalties for airline cancellations. Practices with established policies tend to have a lower appointment failure rate. Some offices use telephone confirmation and have a script they follow to ensure consistency in communication. Most practice advisors recommend that phone reminders be placed 48 hours prior to the scheduled appointment; leaving it to the day before risks failure to successfully reach the patient and causes some embarrassed patients to hide their intention to not show. Some practices have found that technology helps with scheduling problems. Scheduling software tied to practice management systems works especially well for complex practice schedules with multiple physicians and multiple sites of care. Most programs allow for customization of the time grid to account for physician time slot preferences and types of visits. These tools can also track productivity by physician and site. Automated telephony systems that can perform appointment reminders and allow patients to confirm or cancel their visits may also be helpful. Hisham Hakim, MD, a neurologist in solo practice in Sylacauga, AL, uses HouseCalls by TeleVox. His practice enters telephone numbers for patients the day prior to visit and the system calls patients in the evenings, when they are more likely to be available. “This is an inexpensive way to contact patients and places less burden on the staff,” he said. Although Dr. Hakim is happy with the system, it is not for everyone. Mr. Roberts prefers to have real people call for appointment confirmation. “I like being able to document who our confirmer has spoken with, since at times the patient swears they never received a call,” he said. Some neurologists believe that enhancing communication between visits for routine matters builds better relationships with patients, reduces nonessential follow-ups – which are more likely to be overlooked by patients – and ensures that office visits are used for other, more vital issues. Neurologist Andrew J. Barbash, MD, also uses RelayHealth. “I find that the patients and clinicians establish such a reliable online relationship that the reasons for having a follow-up visit are much clearer and patients are less likely to miss appointments,” he said. “If they do, it is easier to follow-up via an e-message – to let someone know why the appointment was not kept and find a more appropriate time for another appointment.” The regular inter-appointment online relationship can offset the patient's tendency to no-show due to long wait times, he added. The Open Access solution provides slots exactly when patients want them. This decreases appointment waiting times by leaving open a majority of each day's slots for patients calling on the same day. James V. Bounds, MD, one of a six-member neurology department at Luther/Midelfort Neurology in Eau Claire, WI, has used this system for more than three years. “The driving force is to be able to give patients and referring providers what they want and need when they want and need it. We give them three options for follow-up: call us when you need us, call at roughly the interval of your previous appointments, or schedule a routine return as previously done. Most choose the first option. The result is exponential improvement in all access measures, higher levels of coding, more new patients, and increased department patient panel size.” This creates higher revenues as well. Their no-show rate is an astounding 1 percent. The group visit model is only used for return visits and typically accommodates six to eight patients in a 90-minute slot. “This has improved accessibility for new patient appointments substantially; although patients may select traditional one-on-one follow-up visits, many prefer the support they gain from others in the group visit setting.” In fact, 60 percent of patients choose to return in groups. ✓ To address the economic fall-out from patients who don't show up for appointments, neurologists are using a wide range of strategies – from implementing policies that charge fees for no-shows to using special software and e-mail programs that remind patients about their appointments and innovative scheduling practices. If your practice averages only four no-shows per office day based on five days per week, and four weeks of vacation per year, this translates to 960 patients per year – (4 × 5) × 48 = 960. At an average office visit cost of $125 per patient – $125 × 960 patients – the no-shows amount to a loss of $120,000 per year. 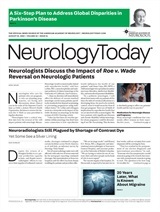 Note: This analysis was performed without consideration of failures to show for higher reimbursed services such as neurodiagnostic procedures, which account for 27.1 percent of neurology services and 55 percent of income, according to Dr. Mark Nuwer, et al. (Neurology 2001;56:586–591).